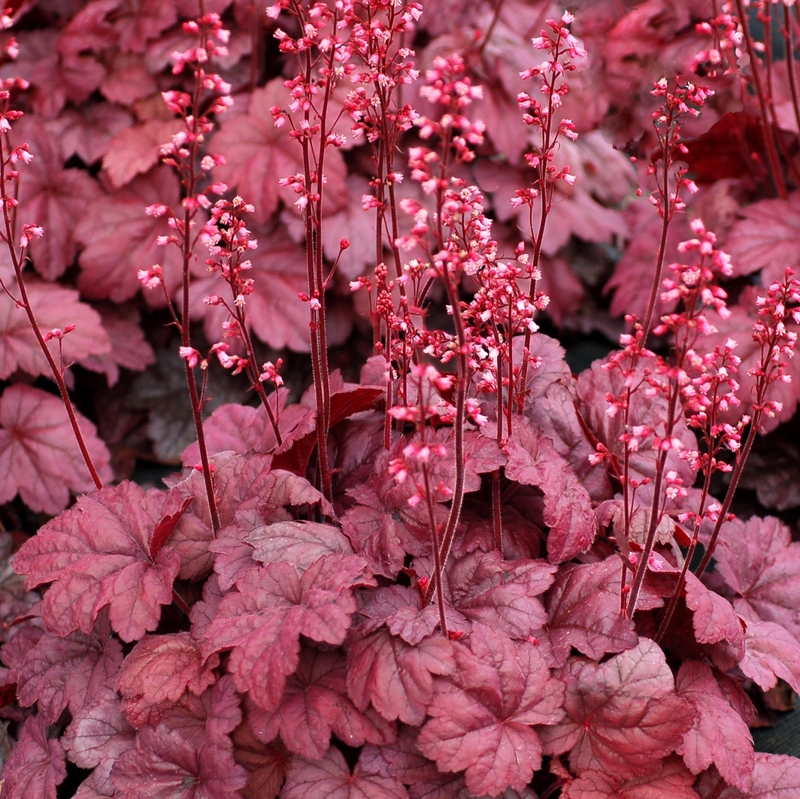 Heuchera 'Grape Soda'. Terra Nova. Finally, a purple addition to the Soda™ series! Amazing rose pink spring leaves followed by lovely light purple flowers which flower spring through summer. 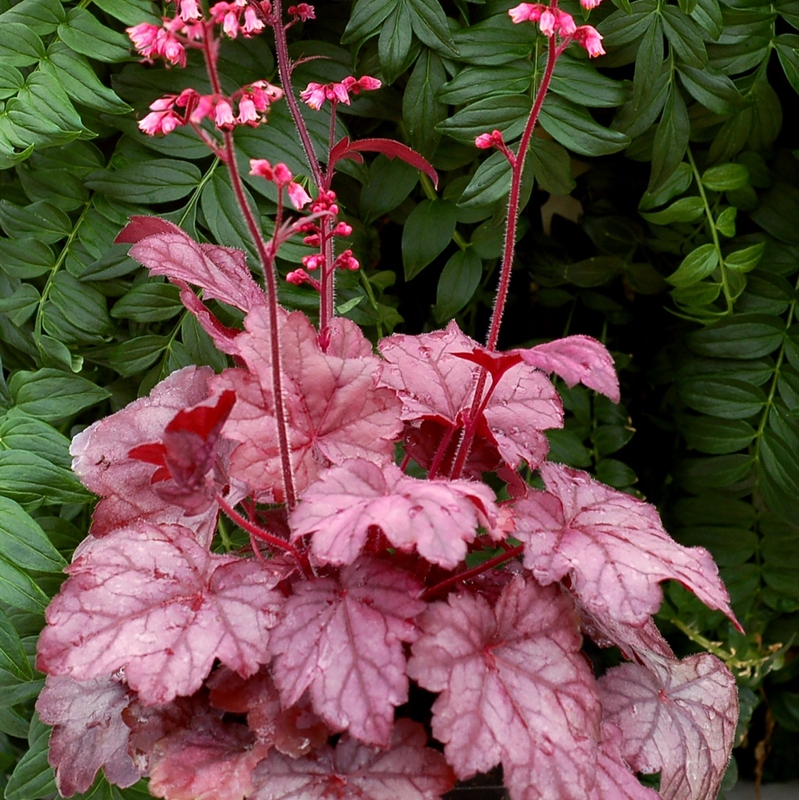 Summer to winter leaves are purple burnished silver. An outstanding container and front of the border type. Long lasting flowers add to 'Grape Soda's' appeal. PP#26339. FLOWER: Purple/pink, early to mid season.